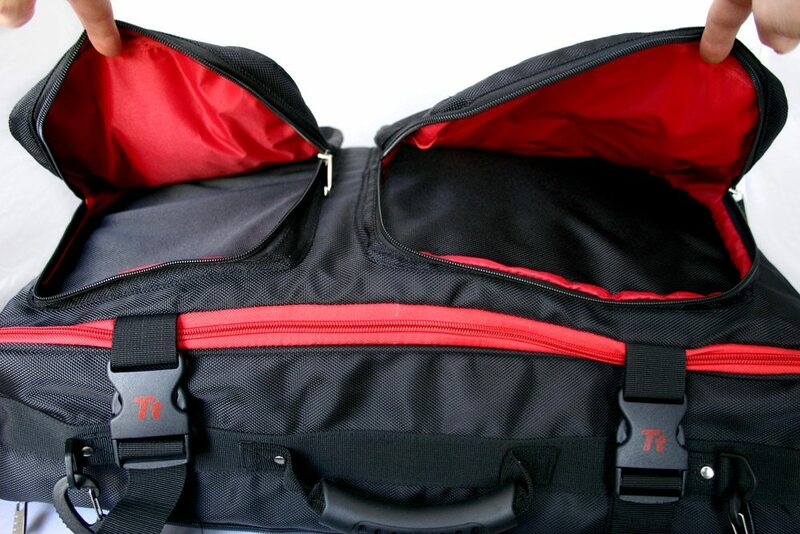 The back is nice and flat with a zipped section that reveals a pair of back pack shoulder straps. 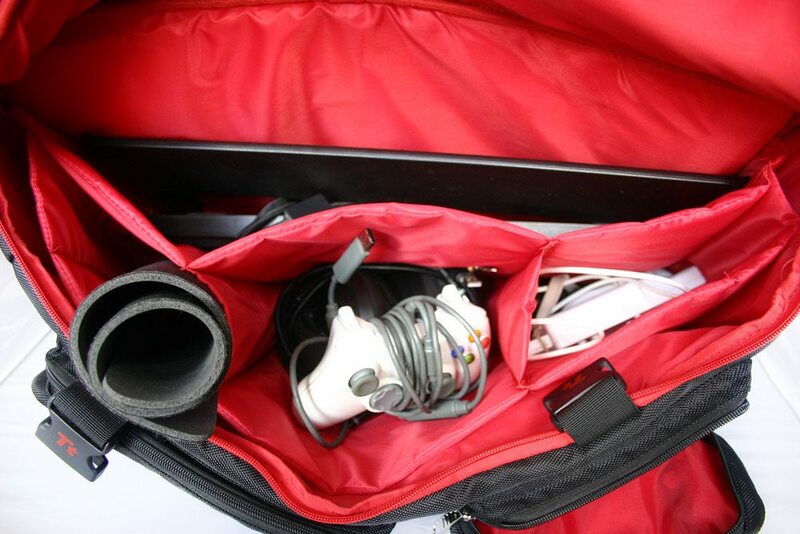 As well as these though, there’s a single shoulder strap with a small padded section. While it’s adjustable how far along the pad is, I couldn’t get it to shorten the actual length of the strap which could be a problem for shorter people; like this reviewer. Rolling up the back to reveal these straps is pretty ingenious. It keeps them out the way if you don’t want them, but isn’t immediately obvious making them pretty stealthy. 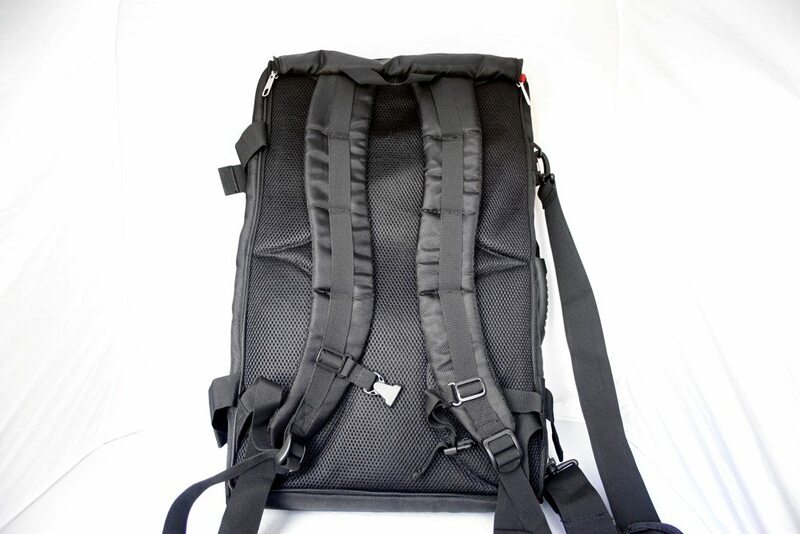 Each strap is padded well throughout making them very comfortable to wear. 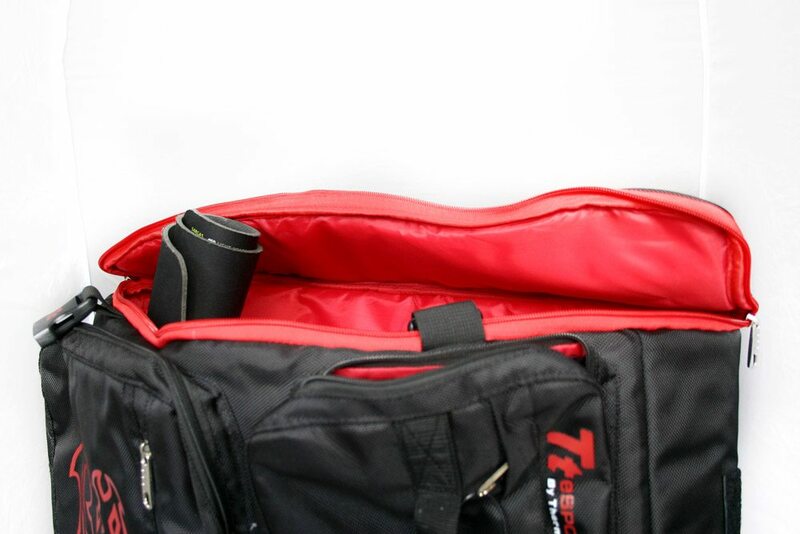 The back section is similarly comfortable with a breathable fabric to help you cool when carrying. 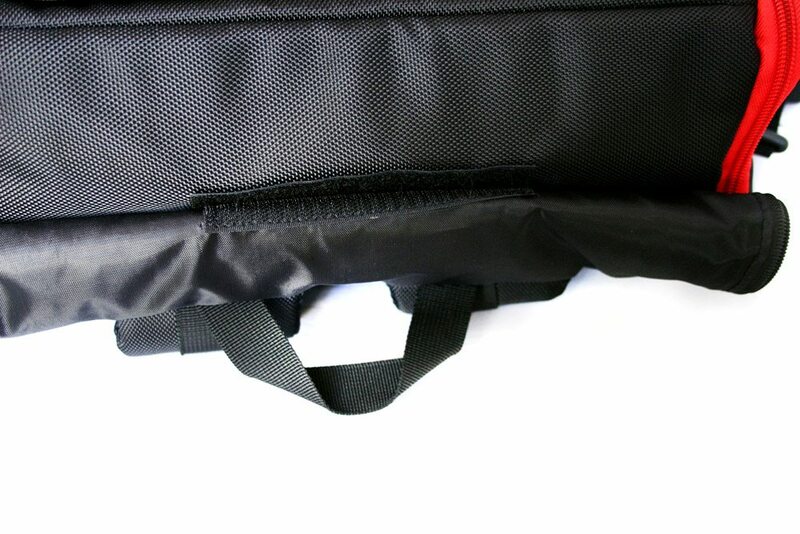 Rolled up, the back cover can be velcrod’ to the base, keeping it neat and tidy. 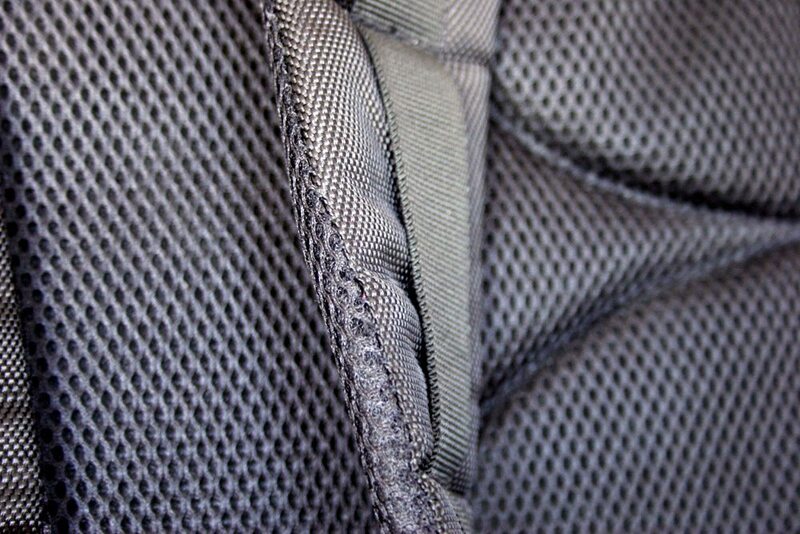 The main interior pockets have the same padding as the exterior ones, though these are seperated into sections to keep everything neat and tidy. There’s thinner layers of padding between them, all of which is flexible. I loaded the bag up with loads of kit and still had plenty of space. I was able to fit a 7G keyboard with wrist rest, Kave headset, Kova mouse, Mionix mouse mat, Xbox controller and Wii-mote with classic controller extension. There was still plenty of space for extra bits as well. However I must stress, I feel the Battle Dragon could really use at least one protective, solid plastic board along the back section. This would prevent the bag from collapsing on itself. It would also help brush off any impact damage from dropping. 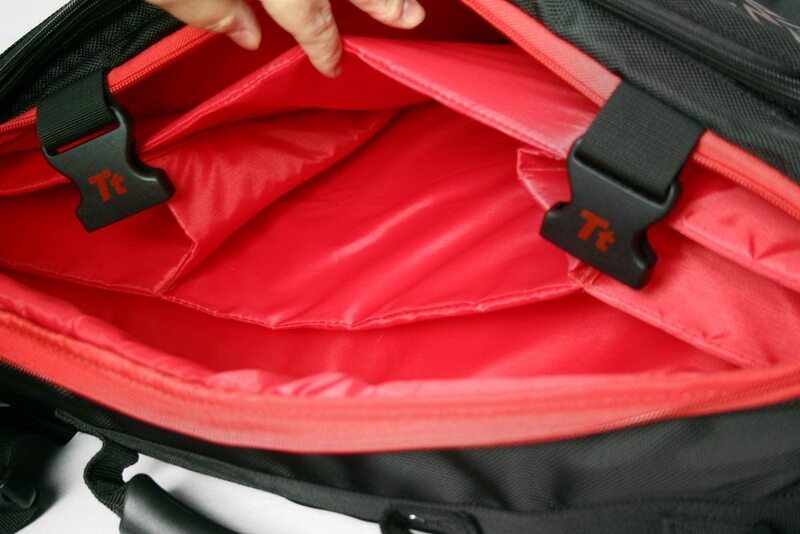 With a keyboard or mouse inside, the padding would probably be enough, but if TT expect people to put their laptops in here, they need a higher level of protection. The only item that didn’t really fit was the tall mouse mat. However, using the laptop compartment I was able to get it in no problem. There was loads of other storage compartments I didn’t use, like these ones on the exterior.